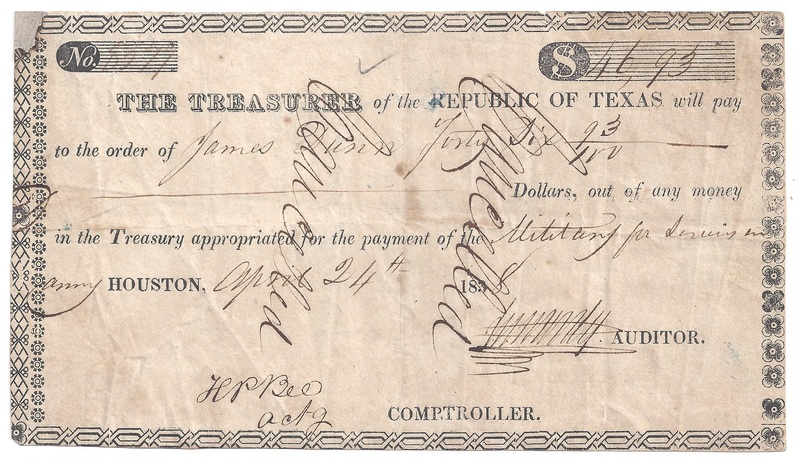 TX7 1839 $5.00 Rep. of Texas, Austin $195.00 ...the reverse. 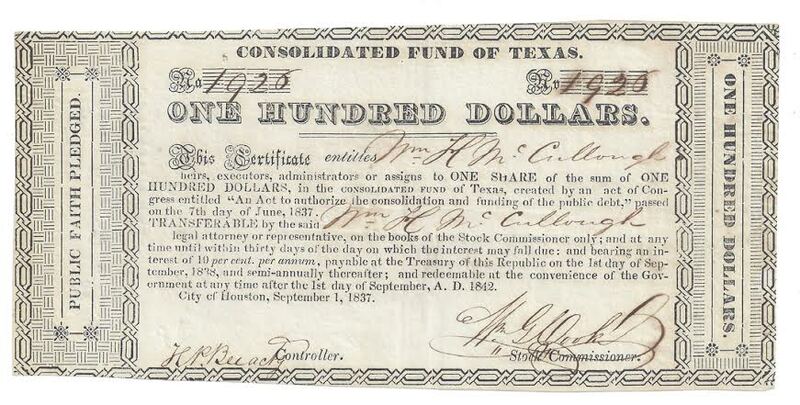 TX9 1840 $20.00 Rep. of Texas, Austin $295.00 ...the reverse. 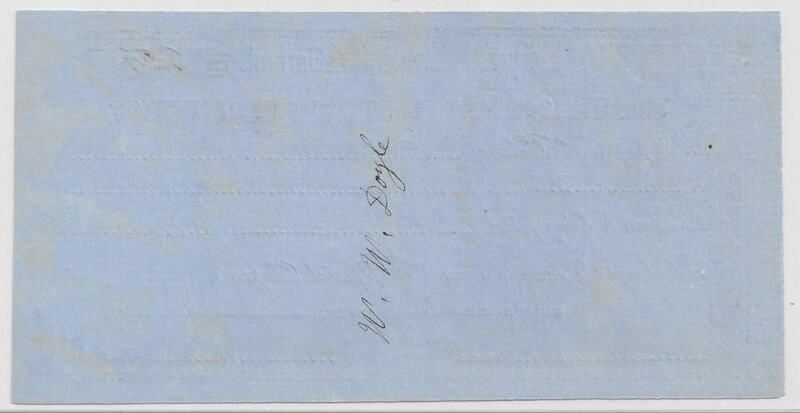 TX11 1839 $100.00 Rep. of Texas, Austin SOLD ...the reverse. TX14 1861 $100.00 Special Warrant $95.00 ...the reverse. TX15 1862 $1.00 "For Military Service", Milk Maid $55.00 ...the reverse. TX19 1862 $8.49 "For Military Service", Indian Princess $55.00 ...the reverse. TX20 1863 $2.33 "For Civil Service", Indian Princess $60.00 ...the reverse. 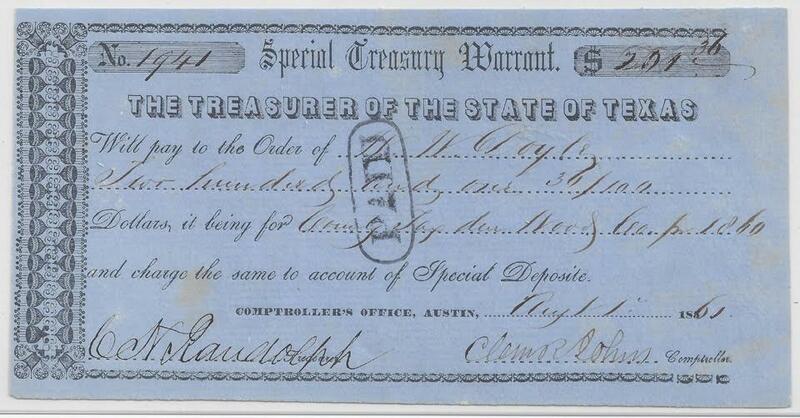 TX23 1864 $50.00 "For Civil Service", black letters, typeset $75.00 ...the reverse.